TOTAL FLANKER...a rugby blog: Seismic shifts? There are now 3 certainties in life - death, taxes and the All Blacks. What yesterday's performances by Wales, Ireland and, yes, England did demonstrate, however, was that perhaps, just perhaps, the gap between the hemispheres - so evident at last year's Rugby World Cup - might not be as wide as we feared. 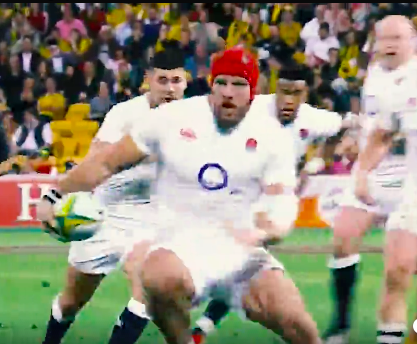 And if further proof is needed that the earth has shifted on its axis, may I present to you a James Haskell sidestep? What is the world coming to? but but but.. Baby Blacks turned over by the boys in green? Not so certain shurley.